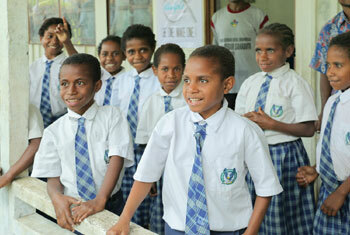 In addition to the above CSR efforts, the Company also has other social activities other than its normal CSR programs. The Company keeps its main focus toward children’s education and environment issues for its other social activities, which is similar to its CSR. 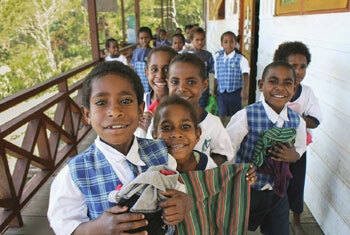 Within 2018, the Company further strengthened its social activities through a continuing cooperation with Dompet Dhuafa, a non-profit social organization in Indonesia, for collecting customers’ donations to refurbish less fortunate schools in several regions and Yayasan Pendidikan Harapan Papua (YPHP) to support childrens’ education and school infrastructure development in remote areas within Papua island. In 2018, the Company also continued its cooperation with Dompet Dhuafa through “Program Infak Via Kasir”. 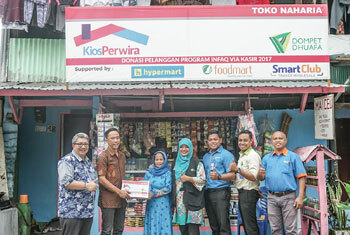 Started in 2006, the program owned and operated by Dompet Dhuafa, enables consumers and the public to provide donations for helping community development programs while shopping. Consumers can donate the shopping cash change, round-up cash change, or direct infaq donations through the cashiers of all Company’s stores. During 2018, this program successfully repaired the infrastructures of several schools and educational institutions which needed the support for revamping their key infrastructures. Total customer donation collected by Dompet Dhuafa from this program amounted to Rp 545.5 million within the period. The Company continued its support to Yayasan Pendidikan Harapan Papua (YPHP), a non-profit organization in Indonesia, for the development of school infrastructure and children’s education in remote areas in Papua island. YPHP conducted a social program of collecting the customer donations, while the Company facilitated its support for the collection from cashiers in all stores. Separately, the Company also gave philanthropic financial donations to the organization. During 2018, YPHP successfully collected the customers donation from the Company’s stores amounted to Rp 1.35 billion (including the donation collection for Palu Natural Disaster).